If the pentatonic scale pattern is built inside the major scale pattern, what’s the point of learning the pentatonic? If you learn the major scale, you automatically learn also the pentatonic, right? Of course, is doesn’t work this way. Guitar scales make unique patterns on the fretboard. 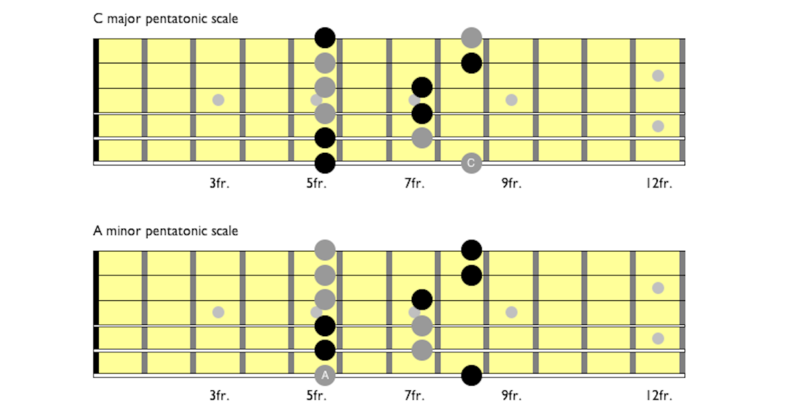 If you want to create pentatonic sounds, you must know which major scale notes to skip over. This is why guitarists learn pentatonic scale patterns separately. 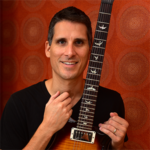 Since the pentatonic scale notes alone are so widely used for melodies, riffs, solos and bass lines, it’s critical for guitar players to map out and learn just these notes on the neck. It’s also critical for players to learn how to execute techniques such as hammer-ons, pull-offs, slides and bends with the special two-notes-per-string pentatonic patterns. 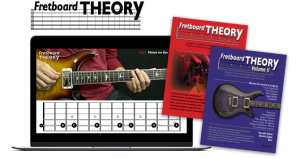 I teach all about pentatonic scale patterns and their use in my Fretboard Theory guitar theory program. 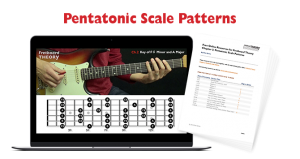 If you just want to focus on using and applying the pentatonic scale patterns and leave other theory stuff for later, then get my mini course, Pentatonic Scale Patterns: How to Easily Master the Patterns Used to Play Music’s Most Iconic Guitar Riffs and Solos (Video + Added Resources).